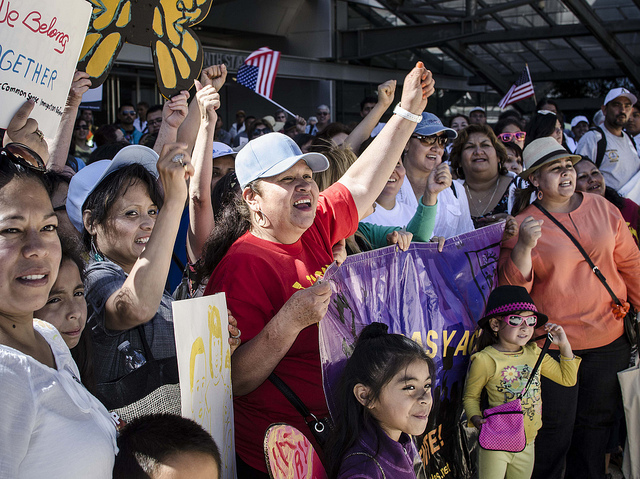 Who and Where are the Beneficiaries of Obama’s Immigration Executive Action? As the White House releases additional details of the president’s plans and in order for it to be a success, it will be crucial to get information to those who qualify. We now know that the primary beneficiaries will be the undocumented parents of U.S. citizens and lawful permanent residents (LPR) as well as immigrants who qualify under the expansion of Deferred Action for Childhood Arrivals. Historically, data on undocumented immigrants has been limited, and mostly exclusive to estimates of how many immigrants are in the U.S. without lawful status. This week, the Migration Policy Institute launched a new data tool and additional estimates on where those who qualify are located by state. Importantly, the tool provides estimates on specific ties to the U.S. that may make an immigrant eligible for relief. For example, the data shows how many individuals ages 15 and older reside with at least one U.S.-citizen child and for how long they have lived in the U.S. Up to 3.7 million undocumented immigrants who are parents U.S. citizens or LPRS have lived in the country for at least five years could be eligible for relief if they also pass a background check and pay any back taxes. One of the keys to the success of any administrative relief program will be the ability and willingness of the eligible population to enroll in the program. As we learned with the implementation of DACA, outreach efforts to encourage eligible individuals to apply for deferred action are critical. But those outreach efforts can only be successful if groups are able to successfully target those eligible. Analyses of DACA applications have shown that the implementation of the program has been uneven across the country, with some states being more successful in DACA outreach and implementation and others lagging behind. The implementation has also been uneven across national origin groups. With that in mind, the availability of more detailed knowledge on the composition and distribution of the undocumented population is indeed good news and, if used properly, should result in a more effective implementation of the programs announced by the President.